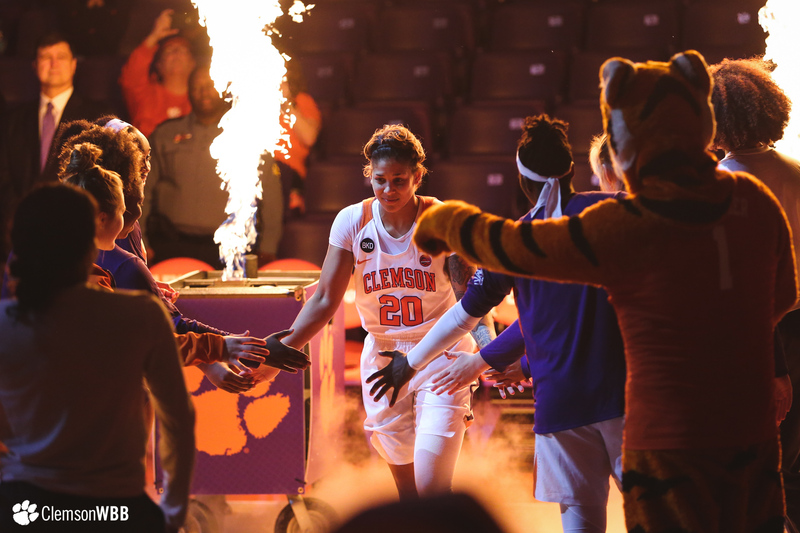 Simone Westbrook’s path to joining the Clemson women’s basketball team was certainly unique and fairly unprecedented, but the end result has paid substantial dividends for the Tigers. 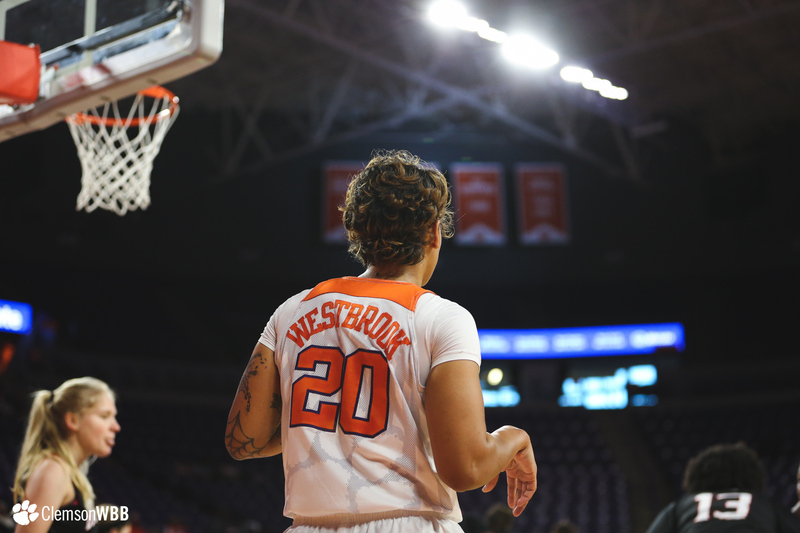 Believed to be the first player in the history of NCAA women’s basketball to receive a seventh year of eligibility, Westbrook enrolled at Clemson prior to the season as a graduate transfer from Florida. 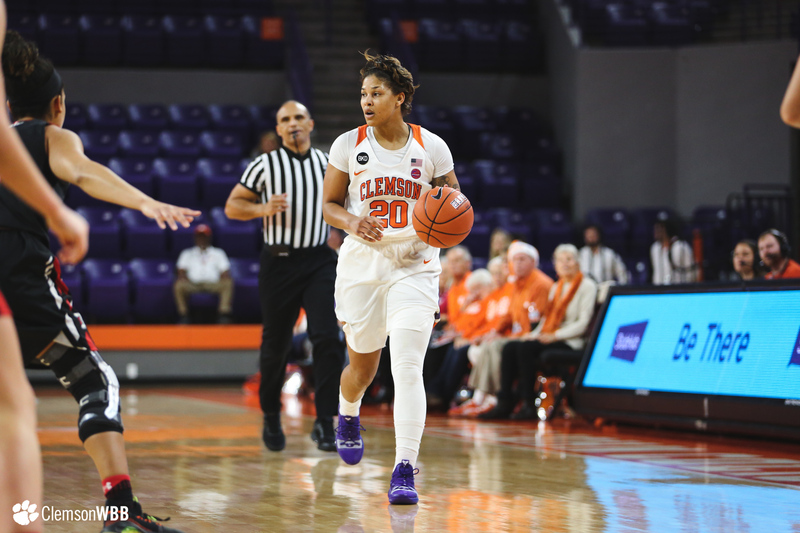 The only Tiger to have played for Clemson head coach Amanda Butler, Westbrook has meshed well with the Tigers to start the season, reaching double-digit scoring marks in eight of her 10 outings thus far. 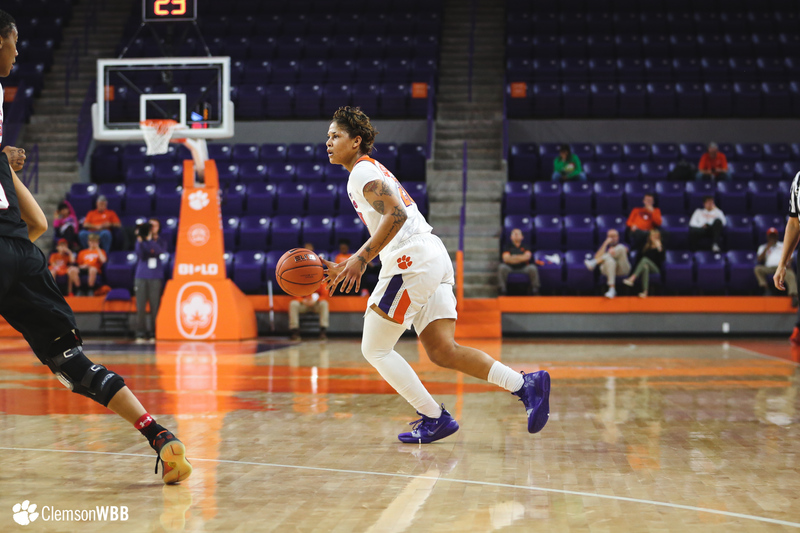 The veteran guard has proven her worth in the backcourt, routinely manning the fast break for Clemson. In addition, Westbrook is one of Clemson’s most gifted shooters, boasting the ability to consistently knock down shots from the perimeter and down low. 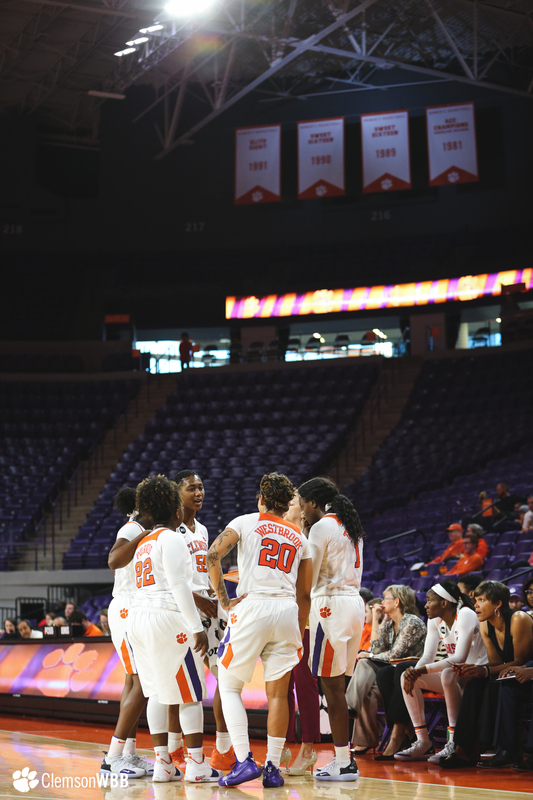 Westbrook’s well-rounded offensive game was on full display in Clemson’s matchup with the Davidson Wildcats on Sunday. Putting on a show at Littlejohn Coliseum, Westbrook tallied a career-high 30 points on 12-of-17 shooting, with the 12 made baskets also serving as a career-best total. Rounding out her well-balanced showing, Westbrook compiled five assists, five rebounds and five steals. Westbrook knocks down the jumper for the first basket of the second half! Despite falling by a final score of 90-80, the Tigers fought valiantly, scoring 22 points off turnovers and 12 points in the fast break. Westbrook was a driving force behind those statistics, making her presence felt in transition defense throughout the contest and having a hand in several of the Wildcats’ 19 turnovers. Clemson strung together a couple of impressive runs to overcome deficits on Sunday, thanks in large part to Westbrook’s tenacity. As part of a 9-0 run in the second quarter that pulled the Tigers to within six, Westbrook showed off her adept passing ability on a flashy assist and capped the run with a 3-point play on the fast break. The guard, who manufactured multiple 3-point plays on the day, went 2-for-3 from beyond the arc and 4-for-5 at the charity stripe. AND-ONE!!!! Westbrook with eight points on the day. 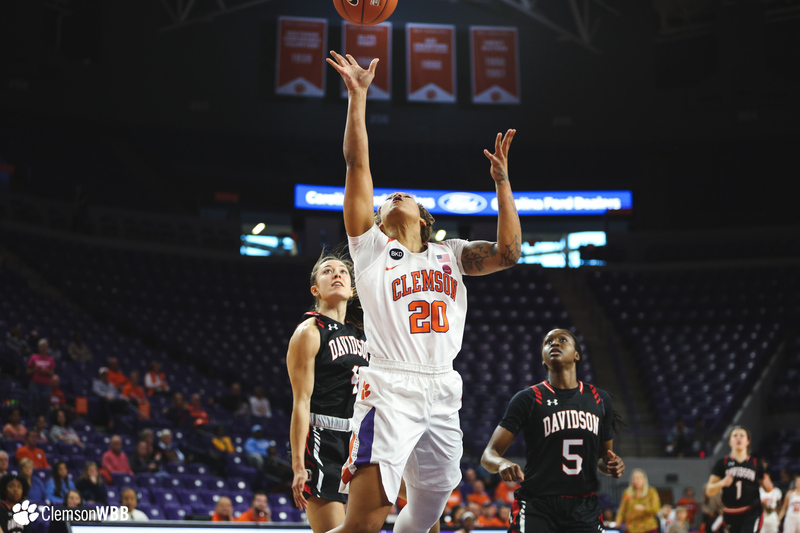 In her best performance as a Tiger, Westbrook led Clemson in assists, made field goals, points and steals. More importantly, she showcased invaluable leadership throughout the game, serving as the ultimate facilitator on Sunday. Poise and leadership are two of Westbrook’s most important attributes, according to Coach Butler. 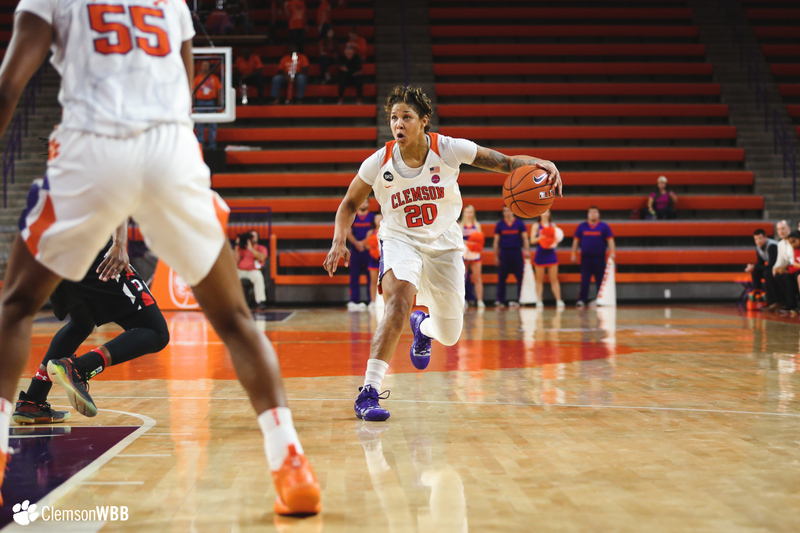 More than just Clemson’s second-leading scorer at 15.1 points per game, Westbrook is a veteran voice in the Clemson locker room and will be instrumental down the stretch as the Tigers look to take their game to the next level.